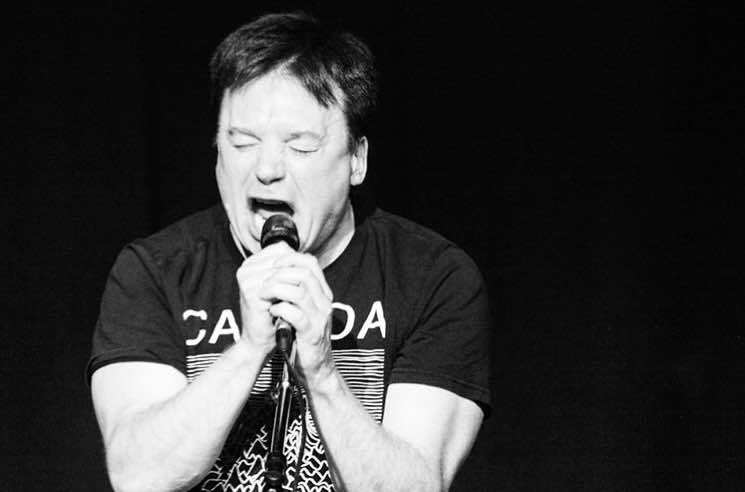 In a truly bizarre pop culture mashup, Mike Myers recently revived one of his most iconic characters onstage in Los Angeles. During a set by Crowded House frontman Neil Finn and his son Liam on Sunday (May 6) in Los Angeles, Myers unexpectedly came onstage and reprised his role as Austin Powers for a rendition of "BBC" from Austin Powers: International Man of Mystery. Despite Powers' awful English accent, Myers repped his own roots with a Canada T-shirt. Amongst the musicians in the Finns' backing band that evening were Mac DeMarco, Weyes Blood, Connan Mockasin and Kirin J Callinan. Watch footage from the ridiculous supergroup moment below. Finn, meanwhile, will soon be heading out on tour again — this time, with Fleetwood Mac.